Is your company running SAP for all of its back end business needs? Do you now find yourself in need of an EDI solution to communicate with a trading partner? If this sounds familiar, or if you have SAP and some other EDI program, you should contact 1 EDI Source and find out how EDI/HQ™ can make life much easier for you and your company. EDI/HQ offers many benefits for companies that run SAP. For file import and export, it can configure directly with your SAP Router to electronically send to and from your SAP system. 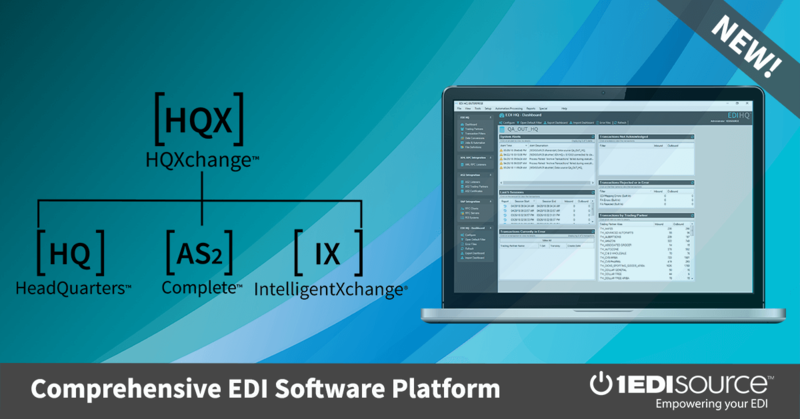 Your trading partner can send a Purchase Order to you via EDI, and EDI/HQ will process the PO directly into your SAP system, without any intervention on you or your staff’s part. EDI/HQ can be configured with your SAP router settings to seamlessly convert the EDI Purchase order directly into your SAP system. When you ship the order, your SAP router can send the document back to EDI/HQ and right out to your trading partner. The same can be done with invoices, and many other outbound EDI transactions. No need to set up any special ports to import and export your documents, you just configure EDI/HQ with your SAP router settings! EDI/HQ is SAP certified! It meets all the standards necessary for this rating from the makers of SAP software. This lets you know it is compatible with all of your business needs.